The versatile and eVersatile ed elegante la maglia verde acqua è impreziosita da rouches in organza sulle maniche. Lo scollo a V rifinito con bordo a costina svela il decoltè al punto giusto. 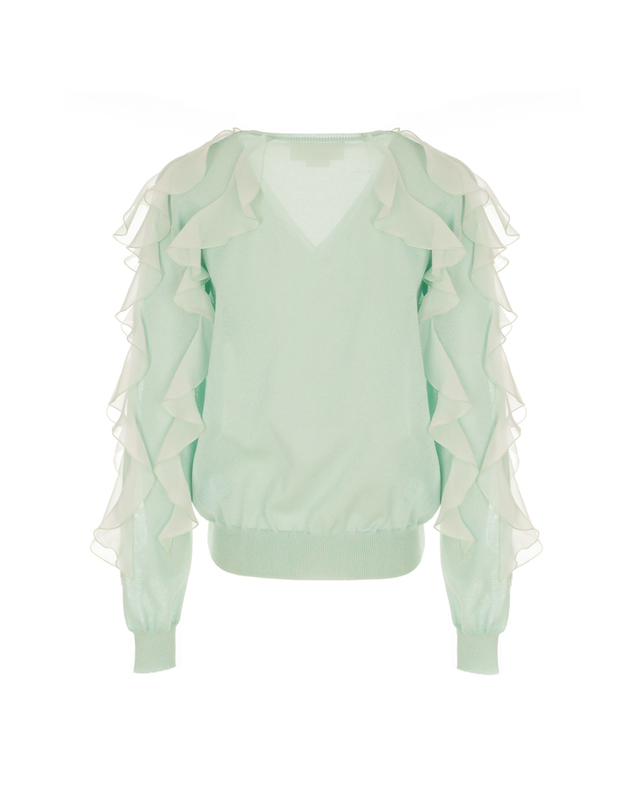 legant aqua green sweater is embellished with organza ruching on the sleeves. The V-neck with ribbed trim reveals just the right amount of décolleté.